My 92-year-old grandmother Judy, sat on the porch of my father’s café and savored a sip of his carefully selected coffee. She was thoroughly enjoying the fresh Catskill mountain air and the good brew. “You know, they say coffee is really good for you,” she told me after taking another sip, referring to recent news that researchers have found more health benefits in coffee. I thought about how my father would react to this information. He is a health-media junky but has been really busy with the café lately, so he had not heard the reports. He would surely break his coffee-fast if the news reached him. She understood and assured me that she would me not bring this news up with him. My grandmother has enjoyed her coffee, black, for as long as I can remember. She’s probably been drinking it every day for 50, 60, or maybe even 70 years. Yet coffee does not seem to have the same detrimental effect on her as it has on my father, who has to pop prescription-grade antacids when he gets into the habit of drinking it regularly. Although she never studied health, life experience has helped my grandmother understand the principle that what is one person’s medicine can be another’s poison. This principle is key to the question of whether to drink coffee or not, and if so, how much is okay. When we ingest substances, be they food, alcohol, or coffee, they create a chemical reaction in our bodies. Different substances create different reactions; this is why all calories are not equal. Calories from proteins, from carbohydrates, or from fats all act differently in our bodies, and ingesting different combinations of nutrients will also changes how our bodies react. For example, when we ingest the sugar fructose as a juice, it reacts differently than when it is ingested with fiber. So a whole fruit will create different chemical reactions in the body than a glass of juice. If you are exposed to too many toxins throughout your day, from the chemicals in food, soap, or cream, or in the air you breathe, you will have different reactions to foods than if you have a relatively clean diet and lifestyle. So what we each need to avoid or include in our diets is different, and on the cellular level, it’s the chemistry that allows Grandma to enjoy her cup of black coffee without getting a bellyache, without having insomnia, and without craving sugar afterward, while my dad, her son, cannot. 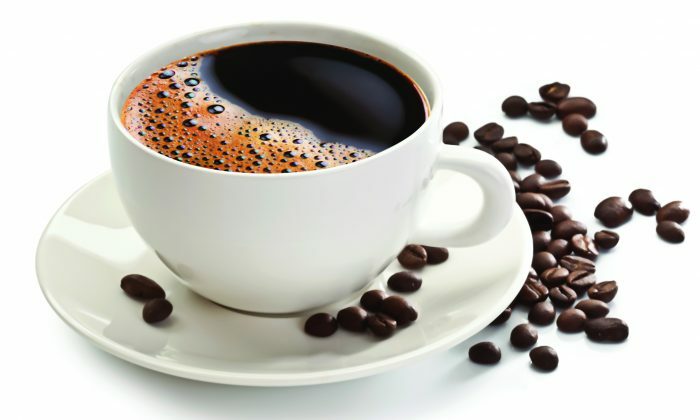 However, it is important to understand that when we drink a cup of coffee, our bodies also have a series of chemical reactions that are less than optimal for us, especially if we have “adrenal issues, upper GI struggles, and also liver detoxification challenges,” according to Nakayama. When we drink coffee, it helps us feel more alert, focused, and driven. This is because it encourages the release of dopamine and adrenaline in the body by blocking the neurotransmitter adenosine. Adenosine is released from our brains throughout the hours we are awake and is responsible for some very important jobs, such as calming internal inflammation—the root of most chronic diseases—transferring energy on a cellular level, and encouraging proper heart function, Nakayama says. So it turns out there is a big price to pay when you get the rush coffee has to offer. This rush is wear and tear on our body at a cellular level. Even if you enjoy only one cup of coffee in the morning, it may still affect you at night. This is because the suppression of adenosine released throughout the day disrupts sleep at night because one of its jobs is to promote a good night’s sleep. So if you are wondering whether coffee is a suitable drink for you, be observant the next time you enjoy a cup of joe and pay attention to how you feel the rest of the day. Did you suffer heartburn, indigestion, anxiety, heart palpations, insomnia, or anger? These could very well be related to the coffee. After all, there are consequences—both positive and negative—to everything we do and eat.